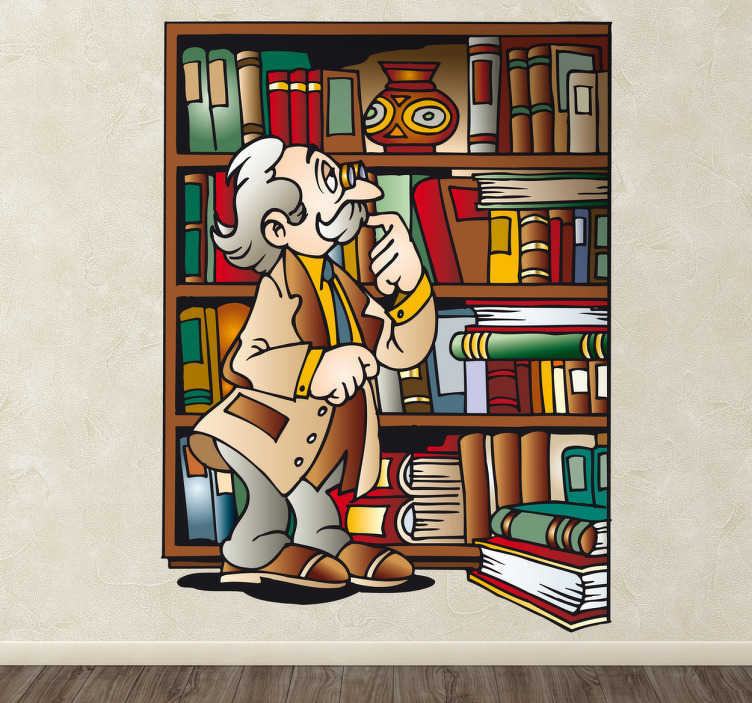 A colourful cartoon vinyl showing a friendly old bespectacled man surveying his books lovingly. Ideal for bedrooms, playrooms, libraries, schools or any educational institution, this wall decal is perfect for promoting a studious atmosphere whilst at the same time keeping things light-hearted and fun. Easy to apply and available in a variety of different sizes, this sticker is great for encouraging a love of learning.